Huber Nurseries is a long-standing member of the Pennsylvania Landscape & Nursery Association and we annually participate in the M.A.N.T.S. and P.A.N.T.S. nursery trade shows. We look forward to serving your plant needs. Started in a small section of his wife’s garden in 1932, our founder began a nursery with several short rows of evergreens. This venture proved so enjoyable for them that eventually it covered their entire 28 acre farm located in Lancaster County, Pennsylvania. Today, Huber Nurseries is operated by the third generation of Landis & Anna Mae Huber. It is located on several farms with over 175 acres on some of the best growing soil in the country. Our commitment to growing high quality nursery stock remains a top priority along with our pledge to outstanding customer service. 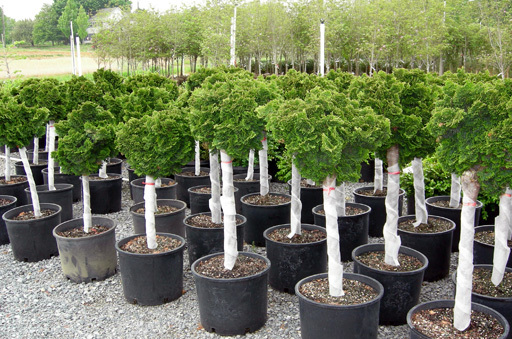 Most of our production continues to be dedicated to our own field-grown evergreens, mainly arborvitae and yew. Also grown are shade and flowering trees, a wide variety of plants in containers, and a varied assortment of perennials and ornamental grasses. Through a consistent program of fertilizing, trimming and root pruning, we strive to always provide high grade, disease-free and pest-free plants. Huber Nurseries is a long-standing member of the Pennsylvania Landscape & Nursery Association and we annually participate in the M.A.N.T.S. and P.A.N.T.S. nursery trade shows. 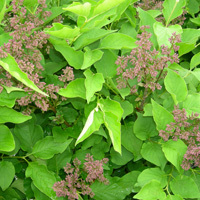 We welcome your visits to our booth or if you get to the Lancaster County area, we would gladly show you our nursery. Please stop by our wholesale nursery at 1472 Stevens Street, Manheim. We welcome your visits to our booth or if you get to the Lancaster County area, we would gladly show you our nursery.